Item # 289934 Stash Points: 895 (?) This is the number of points you get in The Zumiez Stash for purchasing this item. Stash points are redeemable for exclusive rewards only available to Zumiez Stash members. To redeem your points check out the rewards catalog on thestash.zumiez.com. 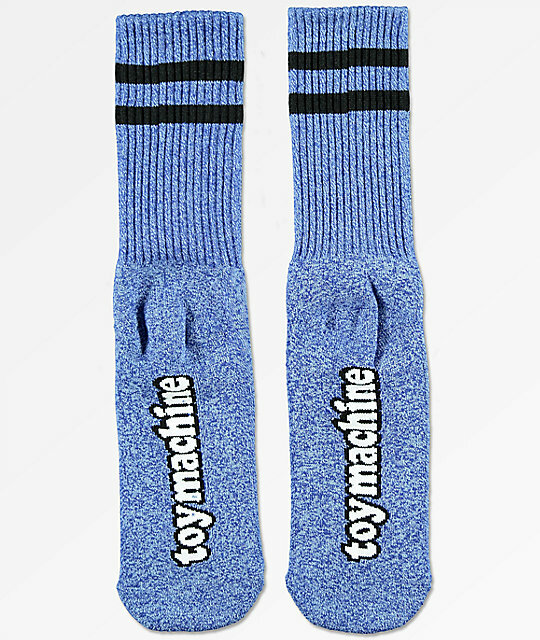 Keep your feet comfy with a heather blue Sect Eye crew socks from Toy Machine. Completed with cushioned lower halves and a print of the Toy Machine eye at the top feet with "toy machine" printed at each footbed. 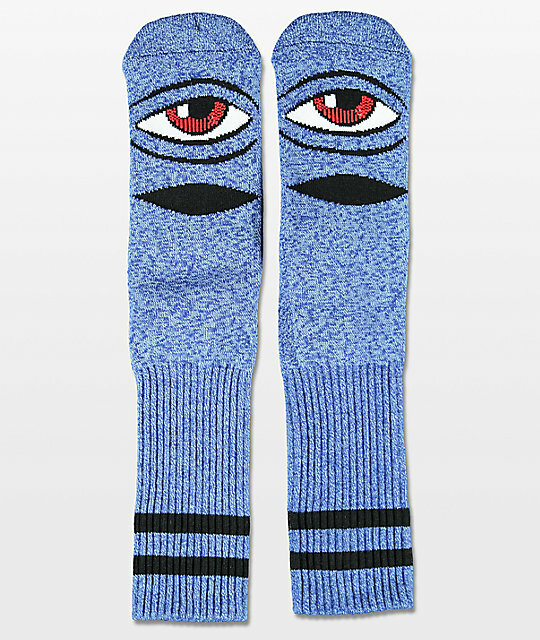 Sect Eye Heather Blue Crew Socks from Toy Machine. Jacquard knit Toy Machine eye at top foot. "toy machine" woven into footbeds.